Honor yourself to a one-on-one personalized Bach Flower Remedy Consultation with Alex. Homeopathic remedies for emotional balance. As we are faced with our own mortality, or the mortality of those we love and care for, it is understandable that emotions can overwhelm us. We may feel confused, angry, scared, anxious, depressed and unable to make sense of what is happening and what we are experiencing. 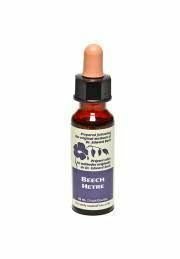 Homeopathic Bach Flower Remedies offer a gentle means of restoring emotional balance and clarity. They can be taken in conjunction with supplements, herbs, other homeopathic medicines and western medicines safely and efficiently. They are safe for people of all ages. A one hour Bach Consultation will give you the opportunity to share what you are feeling and experiencing. A blend of flower essences will be created and provided for you, along with other coping suggestions to assist and support you in your desire to feeling more whole and at ease. As you continue onward in your journey, follow up appointments can be made to evaluate the effect of your initial blend. We will reassess, offering new suggestions as required. Bach Remedies are also extremely useful for friends and family, following the passing of their loved ones.